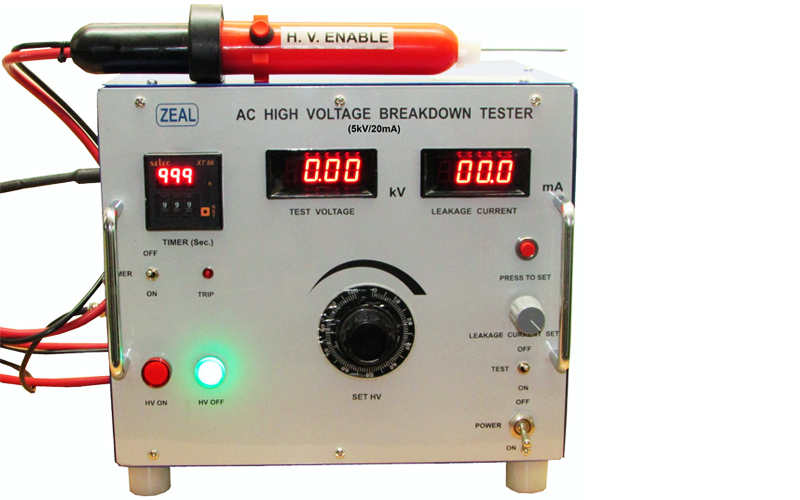 Welcome to Zeal Manufacturing & Calibration Services Pvt. Ltd.
Test ON/ OFF Switch to Start and Interrupt Test. Unique Data Hold facility to Hold Breakdown Voltage data. Inbuilt Timer with Selector Switch. Incepted in August 1996, Zeal Manufacturing & Calibration Services Pvt. Ltd. is an ISO 9001 : 2015 Certified Company engaged in manufacturing, and supplying of Electronic Test and Measuring Instruments. 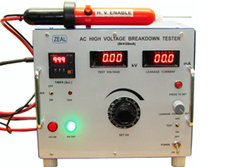 Our range includes Calibrators, Power Sources, Panel Meters, and Testers. Apart from this we also offer Calibration, Repairing & Services for Electronic Test and measuring Instruments. • Advantage Center Co. Ltd.,Thailand. • Gallgher Group Ltd., New Zealand. • P.O. Emergency Light, Israel. 13, Konark Udyog, Off. Karve Road, Near Satyam Industrial Estate, Pune 411004, Maharashtra, India.